Are your ever expanding data storage, protection and retention needs getting out of hand? 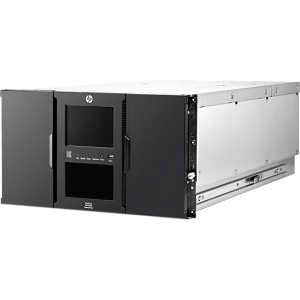 The HP StoreEver MSL6480 Tape Library is the gold standard for mid-range tape automation, delivering best-in-class scalability, density, and performance to meet your short-term backup and disaster recovery data protection needs, as well as long-term archival requirements. Keep pace with data growth by seamlessly scaling up to 7 modules-without disrupting daily data protection. You Also Save Extensive Space, As The Msl6480 Provides The Highest Tape Drive Density Per Module Of Any Mid-Range Tape Library. 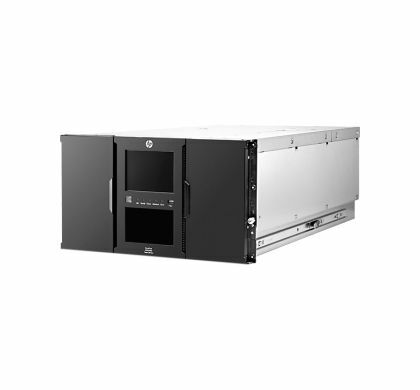 The Msl6480 Tape Library Reduces The Time And Resources Needed To Achieve Enterprise-Class Manageability, Equipping You With Proactive Monitoring On Single Pane Of Glass Control. Reduce Tco By Reusing Current Msl Tape Drives And Adding More Capacity And Performance As You Need It.